Pregnancy was a rude awakening for me. No matter how many guys told me that life changes forever with a positive EPT, there’s just no teacher like life herself. The cravings were the best. I’ll never forget going out into a snowstorm because Regina was dying for Haagen-Dazs chocolate ice cream. (I think it was really one of those, “just how far would you go for me” moments.) Either way, how exactly does a guy say “no”, especially when she says it’s the baby’s favorite? Having tried unsuccessfully for four years and resigning ourselves to not having a child who would be the product of our love, we were surprised a month later. No snow drift too deep! That was fun stuff. So were the sonograms, talking to the baby every day when I came home from the lab, poking at Regina’s side and having the baby kick back. It was all magical and glorious. The rude awakening came in people’s line of questioning, well-intentioned as it was. It started when we declined to have the alpha-fetoprotein test. Our OB, a solid Catholic physician was somewhat surprised. “Don’t you want to know if there are any abnormalities?” He wasn’t the only one. Others, when asking how the AFP results were, seemed incredulous that we would decline the test. Our answer to all was a simple “No”. AFP’s have notorious false positive results. Then what? Eat our hearts out for the remainder of the pregnancy? Fill our souls with grief and dread? Do an amniocentesis which causes spontaneous abortion in 1/200 babies? Right away. More on that in a moment. At least our doctor understood. This was our baby, not something we felt we needed to accessorize our lives with, but the product of our shared love for one another. It didn’t need to be perfect. We’re not. That’s a good place to get parenting off on the right foot. Don’t burden the children with two parents vicariously reliving their lives through the child. The baby just needed to be. Not, needs to be (fill in the blank…) The baby just needed to be. I still cannot get over the number of people who were really put off by the fact that we would welcome a handicapped child, regardless of the severity of the handicap. Paranthetically, these are the same people who accuse pro-lifers of only loving the fetus and not giving a damn about the conditions of the child (poverty, handicap, education…) once the child is born. We were called selfish. One person even said such a sentiment was ghoulish. Evidently it isn’t ghoulish for a couple married six years aborting a less-than-perfect product of their love. Then came Joseph. We almost lost him on his due date. After emergency c-section, he was fine. Then came the moderately severe regressive autism, and a host of other neurological diagnoses, not diagnosed as such for three critical years. It wasn’t until he was turning five that we got the correct diagnosis at University of Michigan’s Autism Center and Columbia Presbyterian’s Pediatric Neurology. We changed course in both of our careers in order to have maximum time with Joseph and his two younger sisters. At age five, his speech equivalent was 2.1 years, his IQ tests, low-average to borderline. We arranged for massive amounts of speech therapy each week with one of the most gifted therapists in New York, a saint by the name of Robert Marinello. In six years, Bob has Joseph functioning very close to where he needs to be. Likewise his occupational therapist, private special ed teacher at our home, his teachers in school from pre-K to second grade, all worked wonders. Regina and I have been diligent in doing the carry-over work ’round the clock at home. It’s been a six-year intensive team effort, and we have been graced with some exceptional therapists and a community of parent-activists for their autistic children. At age 11, Joseph still has a way to go, but I believe that he has a decent shot at a normal life. With his sisters who adore him, he’s all set. There was a time, not too long ago, when children who were as bad off as Joseph were simply institutionalized. For some, with Down Syndrome, we’ve learned to use diagnostic medicine to identify and abort 93% of them. God help us if we find genetic markers for autism. For the time being, the autistic children are safe. So why the success in treating them over the past decade? Not everyone is given to cynical abandonment, which is what abortion is all about. We live in an age of unprecedented enlightenment and innovation. Collectively the various therapeutic communities, in partnership with autism activist parents, have worked up an approach to autistic children that works. It’s getting better by the year. What has happened with Joseph is nothing short of miraculous, and is happening with tens of thousands of autistic children daily. The miracles are being performed by ordinary people who are putting in one more average day at the office. There’s a great lesson in that. The year was 1973. Abortion was being discussed at lot in Canada with it’s recent arrival. Since I was an “at home” mom, I babysat for friends. As we drank coffee at the dining room table of a friend, one of the mothers there became quite vocal concerning defective babies. She felt strongly that they should be aborted. I was prolife, but inactive in any organization. I couldn’t help but question her about what she was saying. 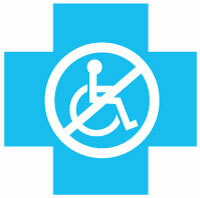 But she remained adamante concerning aborting a child with handicaps. I was sitting where I could see her son whom I babysat while she taught elementary school, playing with my son- both of them three years old. I looked at her is utter disbelief, and pointed to our sons. “Do you really mean that Richard should be dead?”, I asked. Richard, my son, has Cystic Fibrosis. Her eyes rounded as her face went through a series of changing emotions. I have been active in the Pro Life movement ever since. As time passed, we never discussed the topic again and not too long after her family moved away. I heard just recently that she has MS. I wonder if she is concerned about euthanasia. on January 6, 2010 at 3:20 PM Barbara C.
We turn down genetic testing also, and this time (my fourth) I’m refusing to have an ultrasound until closer to 30 weeks. With my third, the ultrasound went from “look at your daughter’s feet” to “she as a 1% chance of Downs or Trisomy-18 if you want to consider an abortion or an amnio you need to do so now”. She was born perfectly healthy. But I’ve wondered since then how many people have been scared into aborting perfectly healthy babies. I personally know of someone who when she got pregnant at age 35 was told by her doctor that unless she went for amnio, she could not remain a patient. To me this was very very sinister. What was this doctor implying? That if the baby tested positive, the mother should/must abort to remain a patient? In the end she did the amnio. The babies were fine (she had twin girls). Doctors telling patients what they MUST do is a pathological perversion, and an increasingly common one. Doctors who wish to protect themselves from liability in a suit-happy culture may need to advise the patient of every option, and the reasons why it is recommended, may need to obtain written acknowledgement that the patient has declined, but should not state flatly (and particularly without explanation) that is is required. I am reminded of a much less poignant discussion, about car insurance, where an agent told me comprehensive and collision “is required.” I asked “Required by?” The agent seemed confused. “Are you financing the car?” he asked. Ah, I said, you mean if I am financing the car, the lender will require it?” Yes, he answered. Getting that out of the passive voice made a huge difference. My parents and grandparents always paid cash in full, with no financing, but it is true, I was financing about half the cost. If I were married, and my wife were pregnant, I would want to get the amnio test, but ultimately I would have to respect her choice if she declined. I would fully support her decision to abort if there were clear (not maybe 1%) evidence of Down’s syndrome, or particularly of anancephaly. I don’t think of that as killing a baby. I think of it as removing tissue that will grow into a baby with severe disabilities, or even with no brain at all. Again, if she declined, I would have to respect her decision. The body often spontaneous miscarries such tissue — I have no problem with human intervention if the body doesn’t recognize the problem in time. Richard, of course, was already born at the time of the conversation, so abortion was a moot issue for him. I’m not sure you can tell about cystic fibrosis ahead of time, but I might opt not to have a baby with cystic fibrosis, if it could be averted. Siarlys, my daughter with Down syndrome is not a “problem” that my body did not “find in time.” She is a human being (from the moment of conception), a wonderful, joyful, bright, human being who has brought more joy to me and to our family that can ever be explained with human words. Most parents of children with Down syndrome who went into the experience with similar attitudes are completely transformed by the love of their child. Trust me when I say your child w/DS would bring you inexplicable joy! I appreciate Siarlys being honest in his take on the issue but he is sincerely mistaken. To believe that a baby conceived by his wife is just “tissue” and not a human baby is scientifically and factually false. Of course, if one wants to persist in error, that is one’s perogative. You can believe that the moon is made out of cheese, but it doesn’t remove the fact that you are wrong. Eileen, your daughter is unquestionably a human being, and since you made the decision to carry your pregnancy to term, and deliver a baby, abortion is not even an issue. Nor is there any point in discussing whether the zygote which grew into your daughter was a human being at the time — she’s not a zygote any more, and never will be again. Margaret, I appreciate that we can discuss this respectfully, but it takes more than your pronouncing the words “sincerely mistaken” to prove error. Nor is something scientifically and factually false, merely because you pronounce those words. There is a later discussion on this site where Gerard and asitis got into a very tense confrontation over the question of alive and human. I won’t repeat everything I wrote there, but I would submit I did a fairly reasonable job of defining the difference of opinion, and the scientific facts on each side. Hello your blog is pretty cool i don’t suppose you would like to sell it? Perhaps this could be material for a future post of yours? I also want to say that my wife and I have also declined all the invasive tests, even though we are in our forties and expecting. This baby, although not yet born, is already our child, and we are already his/her parents, and we have been ever since the moment of his/her conception. After three years of trying to conceive we were blessed with Emily. Not knowing any better I had the alpha-fetoprotein test which came back positive. I refused to have an amniocentesis and had an argument with the geneticist, because she wouldn’t understand that it didn’t matter because no matter what I wasn’t going to kill my child. God had blessed us with a child and we were going to welcome and love our child unconditionally. It turned out to be a false positive but I can’t forget the stress of the uncertainty of those months. It is not Margaret’s words that make you wrong, its your words. A zygote is a human at the very beginning. It is nothing else. That is a scientific fact. Even most abortion providers will admit that much. You can always find those who will lie about it, but Margaret is correct in saying that the lies do not change the facts. When the human egg is fertilized by the human sperm, it remains human (unsurprisingly). If a couple conceive (a human) and decide that they wish they hadn’t,and choose to abort- they should be able to at least admit what they are doing when they decide to kill their progeny.